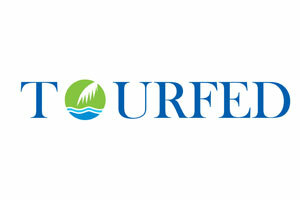 Tourfed is a Government owned agency to provide tourism related services like Tour, travel operations, sightseeing trips and also Tourism product promotions, destinations marketing, marketing for tourism investments and ventures. It is a federation of Co-operative societies in Tourism under Government of Kerala, Department of Co-operation to plan, manage and facilitate the cooperative tourism societies in the state of Kerala affiliated or owned by the Federation. Tourfed will also assist in promotion/organising of new tourism societies/ventures either of its own or at the instance of its affiliated societies/ventures, will also engage in tourism projects developments. Established on 24.11.2011 as an apex body of Tourism Co-operative Societies in the state under Department of Co-operation. This is the Apex Body of co-operative tourism societies in the state, having state wide operation under the control of Department of Co-operation.